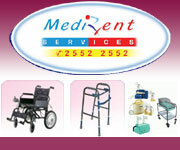 MS., Mch., D.N.B - General Surgery, Plastic Surgery Cosmetic Surgeon In West Delhi. Plastic Surgeon In West Delhi. Cosmetic & Plastic Surgeon In Janakpuri. Cosmetic & Plastic Surgeon In Dwarka, West Delhi. A facelift is a plastic surgery to remove facial wrinkles, sagging skin, fat deposits and other visible sign of aging to look younger. The aging face loses elasticity along with the muscle tone. There are various procedures that may be necessary to get the best look back. The procedures could be enlisted as necklift, blepharoplasty, liposuction, autologous fat injection, removal of cheek fat pad, forehead lift, browlift, chemical or laser peel, and malar (cheek), submalar or chin implants.